Contact us to register your interest in quality firewood delivered in new, no-mess bulk bags! Take the hassle out of stocking up your woodpile with delivery straight to your door by Firewood Newcastle. A locally owned and operated company, Firewood Newcastle specialises in providing premium quality firewood for both residential and commercial use in the Newcastle region. If you have been looking for a hassle-free firewood delivery service, you are going to love the services that Firewood Newcastle provides. John Rickards and the Firewood Newcastle team take great pride in providing the Newcastle region with the highest quality firewood with a stress-free delivery service. Firewood Newcastle guarantees a no-mess delivery service. The team will deliver straight to your door using large bulka bags which ensures you can stock up your woodpile without wood chips going everywhere. There is no more convenient way to purchase premium quality firewood in the region. Our firewood is always well seasoned and ready to burn. 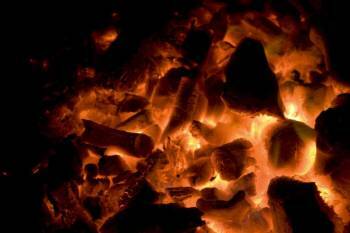 We provide a range of firewood options and can tailor our product to your requirements. You can be sure that all of our firewood burns hot and slow. Firewood Newcastle provides delivery to your door in all Newcastle suburbs including Raymond Terrace, Rutherford, Charlestown, Wallsend, Maitland, Merewether, New Lambton, Mayfield, Medowie, Thornton, Maryland, Warners Bay, Belmont, Edgeworth, Cardiff, Adamstown, Valentine, Eleebana, Toronto, Lake Macquarie, Port Stephens and the Hunter Valley. If you would like to know if Firewood Newcastle can deliver to your area, call John on 1300 288 873.